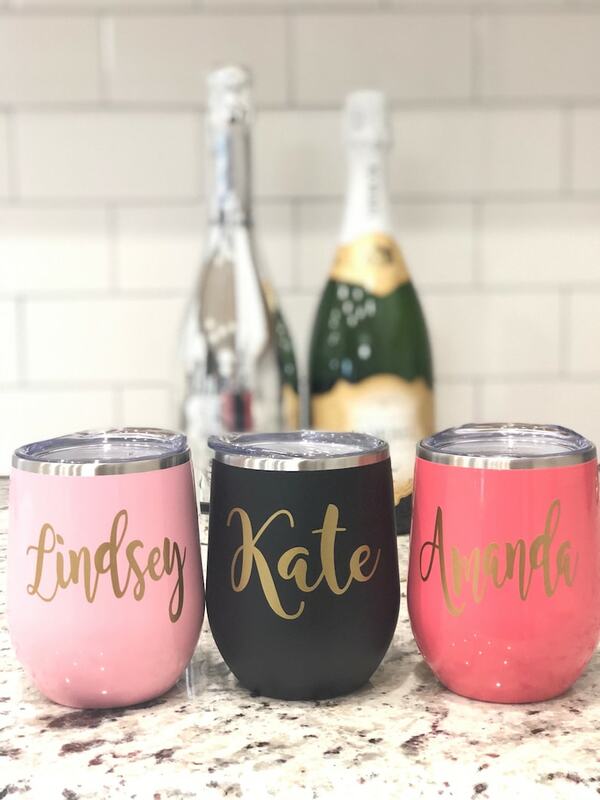 If ordering a variety of tumbler colors, add each tumbler color to your cart. Name/text is applied to the outside of the tumbler using high quality vinyl. Omg words can’t explain how perfect and amazing these came out. 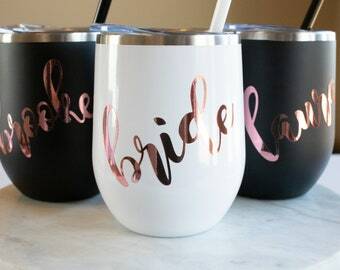 I got these made for me and my bridesmaids for their proposal boxes and sister who is my wedding planner and I’m so in love with them. We want you to be 100% satisfied with our products. We will do whatever it takes to make you happy. Please message us personally with any questions. These are handmade and personalized to each buyers specifications, therefore we do not accept returns or exchanges. Golden Designs will ship with the method of your choice on most items. For rush orders please special message us. 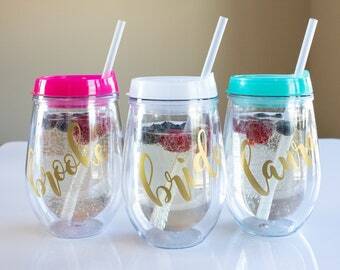 Currently all tumbler orders will be placed in the mail within 1-2 weeks(if in stock) from order date. If item is out of stock, shipping will be delayed 1 week. Please message me for any custom orders. We are not able to use logos. How do I wash my tumbler? 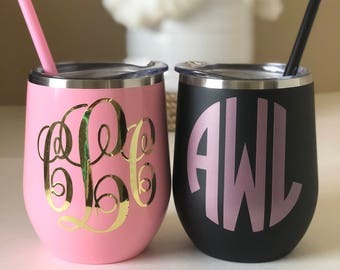 All Acrylic tumblers and vinyl monograms are recommended to be hand washed only. Washing in a dishwasher will ruin the integrity of the vinyl monogram over time. My order arrived damaged or wrong! What do I do? We lose sleep over this! We want your order to arrive to you in perfect condition, but occasionally(rarely, but it happens!) we do make mistake or items get broken in transit. If this happens we are so sorry! Just message us and we will send out replacements asap! No, and yes! We only send proofs on custom text orders. This means, if you are ordering a custom text on a tumbler, we will send proofs. 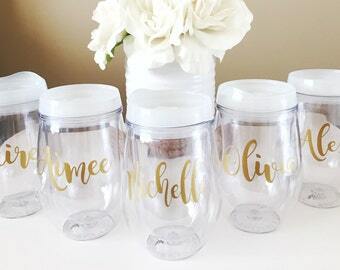 If your tumbler is ordered as pictured with a name or monogram, proofs are not sent. How do I order multiples? In each listing you will find ordering instructions with a prompt to follow. All tumbler details are added in the box called "notes to seller" on the checkout page. RUSH! I need my order before your shops 1-2 week shipping timeframe. No worries, if you need order asap we have a RUSH listing that can be added to your order when checking out. This is $10 and moves your order to the front. Your order will ship out same or next day.